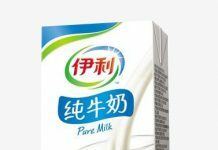 LAHORE: Inner Mongolia Yili Industrial Group Co has submitted an investment intention letter to acquire a 51 percent stake in Fauji Foods. 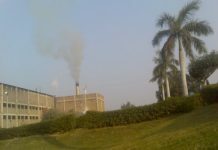 On Tuesday, Fauji Foods Limited filed a notification on the Pakistan Stock Exchange (PSX) confirming Inner Mongolia Yili Industrial Group had expressed an interest in entering into negotiations with Fauji Fertilizer Bin Qasim Limited (FFBL) for the proposed acquisition of up to 51% of the voting shares and/or control in Fauji Foods Limited, from FFBL and other shareholders. “Customers are more comfortable with traditional players than more modern means. But the increasing urban population holds a huge market for such products if their doubts on quality, etc are addressed. The magnitude of the impact on FFBL would be clearer after more details come in,” said Maha. A separate filing on the Shanghai Stock Exchange Monday, Inner Mongolia Yili Industrial Group announced it had submitted an investment intention letter for acquiring a 51 percent stake in Fauji Foods. The investment intention letter is limited to the expression company to negotiate acquisition targets with FFBL and other shareholders. The intention of the company’s shares does not constitute a binding meaning for any party to advance or complete the proposed transaction. Fauji Foods had acquired a majority shareholding in Noon Pakistan’s in March 2015 and spent Rs7b to overhaul its capacity from 100,000 litres a day to 600,000 litres a day, in an article published by Bloomberg. Fauji Foods shares were trading at Rs36.12, up Rs1.72 (+5 percent). KSE-100 index was trading at 43,322.90 points, down 233.73 points (-0.54 percent) at the time of filing this report.